Terming the Election Commission's EVM challenge a "farce", the Aam Aadmi Party (AAP) on Saturday opened registration for its parallel challenge and invited people to hack the voting machines under the poll panel's guidelines.AAP legislator Saurabh Bhardwaj said the participants can get themselves registered at a link given on the party website. It said the registration process will remain open for a week and then a hackathon will be organised. "We are launching our EVM challenge today and people can register themselves through a link on our website. Any hacker can participate in this challenge and hack our machine under the conditions set up by the EC. Each participant will be given a four-hour slot to tamper with our machine," Bhardwaj said. The AAP also invited the poll panel and Bharat Electronics Limited -- the company that makes EVMs -- to take part in the challenge along with their technical expert teams.The party is inviting hackers to test the EVM which Bhardwaj had used in the Delhi Assembly to "prove" his allegations of tampering.The AAP has said its parallel EVM challenge will prove the one being held by the poll panel was "pointless". 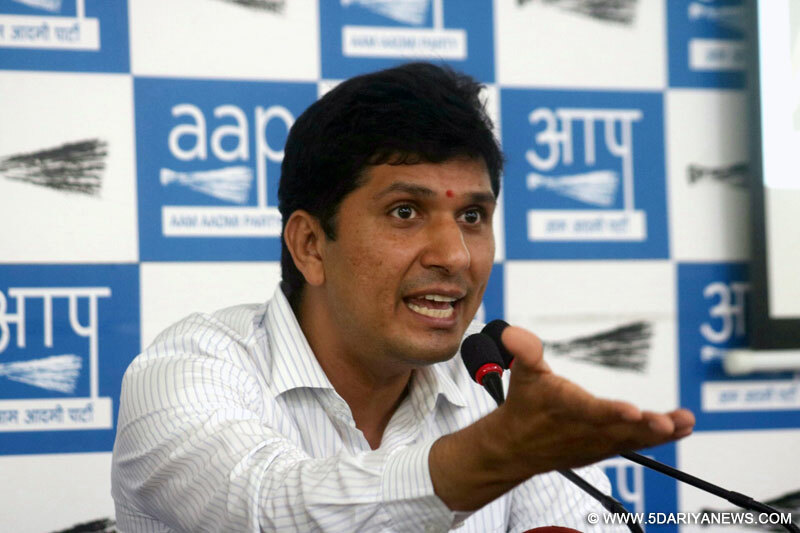 The AAP had decided not to take part in the Election Commission's challenge after its request for a change in the terms and conditions was shot down by the panel.Bharadwaj, who had earlier demonstrated how an electronic voting machine can be hacked using a prototype in the Delhi Assembly, said the party's challenge will have the same prototype. The legislator called the Election Commission's exercise as "a farce". "There are over a dozen methods available to hack EVMs but one cannot hack an EVM under the EC's guidelines. One has to be given access to the EVM to hack it. Why is the EC so afraid of giving us EVM access?" asked Bhardwaj.The EC's challenge began at 10 a.m. on Saturday. The Nationalist Congress Party (NCP) and the CPI-M are the only parties that have registered to take up the challenge to hack the EVMs.Fourteen voting machines have been brought from three states for this challenge.